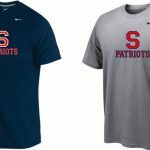 Spring sports apparel is now available online at https://seegerspringsports19.itemorder.com/sale. The merchandise is through Coaches Corner in Terre Haute. The online portion of the fundraiser will close on March 17th. Any orders sold through a student athlete will be due March 15th. Thanks in advance supporting Seeger. 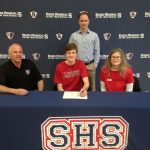 Patrick Hennessey has signed to run cross country and track and Lewis University in Illinois. Congratulations to Pat! Girls Varsity Track · Mar 2 Outstanding meet to start the Season! !